Win a copy on vinyl + a pair of tickets to the NYC show! There's a good chance we were as excited for Drew Holcomb and The Neighbors' new album release as they were. When Souvenir dropped last month, we were dazzled by the Nashville band's gorgeous songwriting, inspiring melodies, and poetic lyrics on their latest effort. 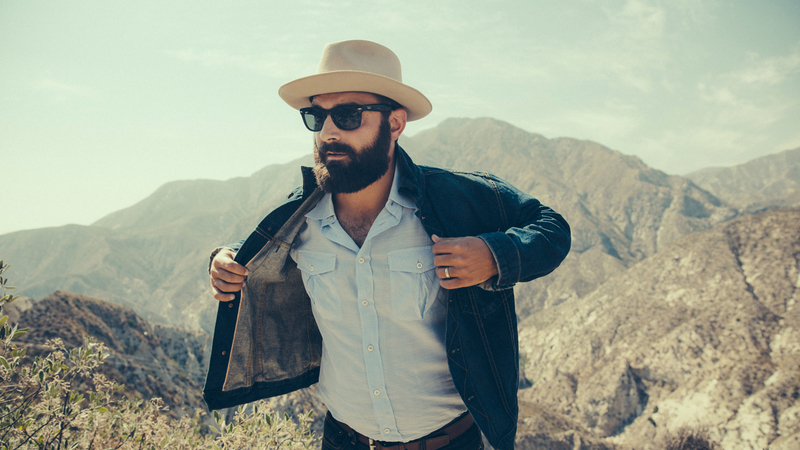 To celebrate, Drew Holcomb (vocals, guitar), Nathan Dugger (guitar, keys), and Rich Brinsfield (bass), are bringing tracks like "California" and "Postcard Memories" to fans everywhere on a spring tour. This, is saying a lot, seeing as the "Black and Blue" performers have released 12 albums over their 12-year career. Perhaps the best part of these shows is the fact that the band have decided to donate 20-percent of each night's t-shirt sales to a local charity in each tour stop. If you want to get prepared to support their "Love Your Neighbors" campaign in your city, peep their merch here! So, if you're anything like us and can't wait to see this tour come to your town for a good cause, be sure to Track Drew Holcomb & The Neighbors on Bandsintown to stay tuned to their concert updates. NYC fans, enter below for the chance to win a copy of Souvenir on vinyl, plus two tickets to the show at Irving Plaza on May 18! Winners will be contacted via email a few weeks before the date of the show. So if you don't receive an email in the next few weeks, be sure to get your tickets while you still can!